Bi-color Dot Matrix led Display 8x8 led dot matrix Spec. : Part No. KEM-12088-A/BSRG Emitting color Dual color: super red + super green Array 8x8 Dot Diameter 3mm Size 32 x 32mm Surface color Black/Grey PINs Q'ty 24 PINs Polarity Common anode Product Pictures: Dimension and Internal Circuit Diagram Note: If above dimension & PCB layout not meet your requirements, please come to me for other choices. With over ten years experience in this field, we do believe we can become your reliable supplier! 2.We are a factory manufacturing led indoor lamps, best production capability ,best quality control, Best Service . Each color is split into the three primary colors and three values are output from the encapsulation displays. 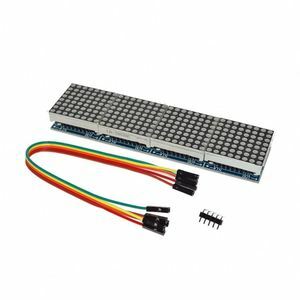 Not limited to 7 segment LED display, alphanumeric led display, led dot matrix display module etc. 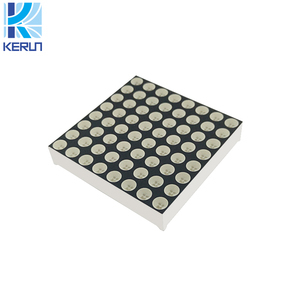 Keming focus on producing high quality all kinds of led products . Q5. How to proceed an order for led light9 A: Firstly let us know your requirements or application. Please inform us formally before our production and confirm the design firstly based on our sample. 2) Hole diameter: 1.9mm , Pitch: 2.54mm. 4) emitting colors: yellow green (572Nm),pure green (525Nm), 5) Common anode or common cathode. 8) Customized requirements can be meet. Dongguan Kinley Electronic Co., Ltd.
As a company based on market, we are going to be a world wide famous brand in LED display industrial. QA: in order to guarantee the quality of product, all products are rechecked by QA before shipment. 5.Protection of your sales area, ideas of design and all your private information. Light source APA102 Pixel resolution 160*160mm Operating voltage DC5V Consumption watts 75 &plusmn; 1W Pixel pitch ( mm ) 10mm Entire piece LED quantity 256 pcs Lumen per LED (mcd) R:500-650 G:370-530 B:120-165 Product Pictures You can see this is the back side of our apa102 16x16 led matrix, there have 3 weld pad, in the middle is DC5V+ and GND-, for connect power supply . both side weld pad with DAT, CLK, DC5V+, GND 4 points. so this matrix with 4pin male and female connectors. Dot Matrix 8x8 LED Digital Clock Display 8x8 Dot Matrix Led Display for sale ! Alibaba.com offers 1,500 8x8 led dot matrix products. About 80% of these are led displays, 1% are lcd modules, and 1% are led stage lights. A wide variety of 8x8 led dot matrix options are available to you, such as full color, red, and green. You can also choose from indoor, outdoor, and semi-outdoor. As well as from graphics, animation, and video. 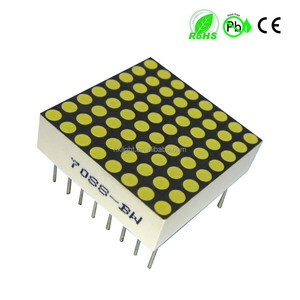 And whether 8x8 led dot matrix is 10mm, 20mm, or 18mm. 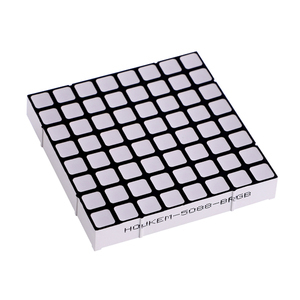 There are 1,504 8x8 led dot matrix suppliers, mainly located in Asia. The top supplying countries are China (Mainland), Taiwan, and India, which supply 99%, 1%, and 1% of 8x8 led dot matrix respectively. x8 led dot matrix products are most popular in North America, Domestic Market, and Western Europe. You can ensure product safety by selecting from certified suppliers, including 412 with ISO9001, 124 with Other, and 20 with ISO14001 certification.